Marissabel Alvarez Mayol became a licensed Zumba Instructor in June of 2010. While in law school in Florida, she was tired of carrying around an extra 60 pounds that seemed to appear out of nowhere. Bored with treadmills and elliptical machines, she tried a Zumba class at a nearby gym and slowly began to dance those pounds off. After realizing that Zumba was not only the reason for her weight loss, but was also her reason for enjoying life and having more fun than ever before, she knew she wanted to teach Zumba to give others the chance to feel as good as she did. 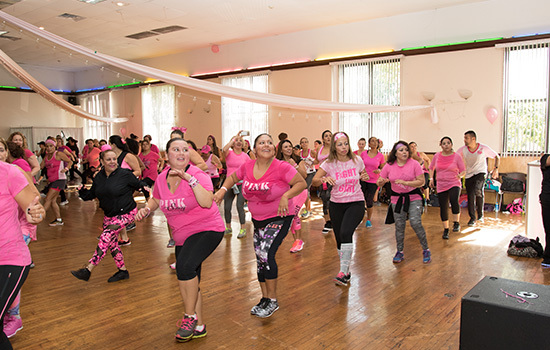 Having been inspired by her own Zumba Instructors, Lina Hernandez and Raelys Arroyo, Marissabel brought Zumba Fitness to Bergen County, in the Village of Ridgefield Park, NJ, in October of 2010 and has been teaching there ever since. Marissabel is a graduate of Amarily’s Academy of Dance Arts wherein she underwent extensive training for over fifteen (15) years in Ballet, Flamenco, Tap, and Jazz which allows her to add a unique and special flare to her choreographies within her Zumba classes. She also received her Bachelor’s Degree in Criminal Justice at Fairleigh Dickinson University and her Master’s Degree in Criminal Justice at Rutgers University. Marissabel is committed to improving her skills as a Zumba Instructor by continuing training and education to create the best experience possible for her class participants. She has trained with the creator of Zumba, Beto Perez, as well as many other renown members of the Zumba Fitness program such as Tanya Beardsley, Jani Roberts, Ali Ramirez, Kelly Bullard, Pamela Socorro, Marcie Benavides, Steve Boedt, Richard Gormley, Irena Meletiou, Ashlee Cramer and Acea Theroux. Marissabel is licensed in all Zumba Fitness formats: Zumba Basic Level 1 and 2, Zumba Toning, Aqua Zumba, Zumba Sentao, Zumba Kids, Zumbini, Zumba Step, Zumba Gold and Strong by Zumba. She is also a member of ZIN (Zumba Instructor Network). She approaches each class with such a passion and love for Zumba that it radiates out of her in each and every class that she teaches. The creative genius behind Zumba is Beto Perez. Beto began dancing as a young boy in Colombia. 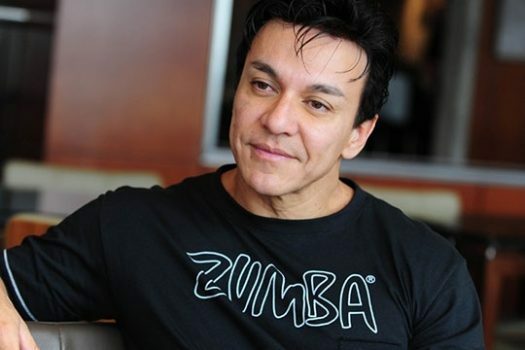 An accomplished fitness professional, dancer and choreographer, Beto, created Zumba Fitness as a result of improvising when he forgot his traditional aerobics music for his fitness class one day. He used his personal, Latin music instead of his traditional aerobic tapes to teach his class. The class was a hit! Beto Perez moved from his native country of Colombia to the United States in 2000. He continued to work hard while living in Miami and by 2002 Zumba Fitness, LLC was created. Beto and Zumba’s philosophy is that fitness should be fun, effective and easy-to-do. Zumba’s success around the world is a clear indication that their company philosophy rings true. WHY DO PARTICIPANTS LOVE ZUMBA? Anyone can participate. 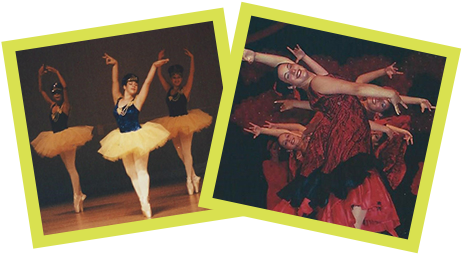 The classes are designed for all levels and ages of participants; for dancers and non-dancers alike. Zumba Fitness has classes for kids through active older adults. You don’t have to be a dancer to enjoy Zumba; you just have to have a great attitude and willingness to have fun. Zumba was created out of Beto’s passion for music, dance and fitness. He wanted fitness to “be fun” and effective. Zumba participants learn very quickly that this philosophy rings true in class. They get positive results with the workout which keeps them interested and committed. 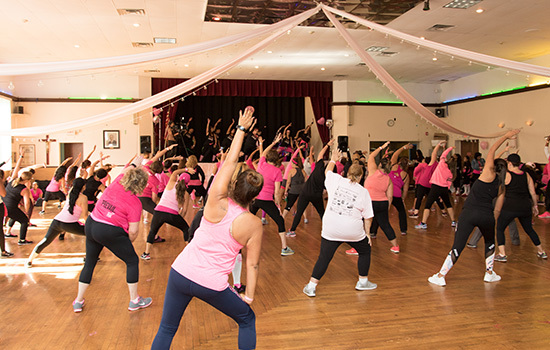 Many students have said, “It doesn’t feel like I’m exercising.” Zumba Fitness creates a non-intimidating workout environment where everyone feels accepted for who they are regardless of age, ability and/or fitness level. WHAT MAKES ZUMBA SO EFFECTIVE? Zumba is designed to be the most time efficient workout possible. Within a Zumba class you will get the benefits of a cardio and body toning workout all in one. The intermittent fast and slow rhythms of the class combined with resistance training movements give participants the most time efficient workout possible. Zumba uses movements throughout the class that challenge your core, balance, flexibility and muscular and cardio endurance. The intoxicating music and the fun movements make it easy to love. What better way to release stress than “dance” your cares and worries away for an hour. It’s a great workout for the mind, body and soul. The goal is simple; the creators of Zumba want people to be healthy, to want to workout and love working out. So Come, Let check out a Zumba class today!